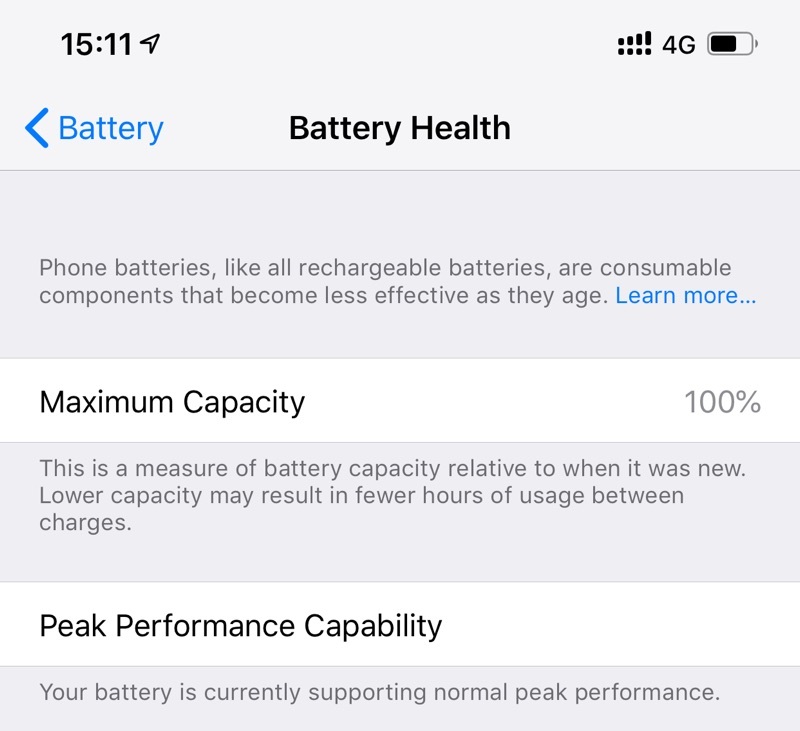 iPhone XR and XS Max battery health share here. Would like to know about your battery health now? Mine bought from Sep 18 for my XS Max dual physical SIM card model. My battery health still based on 100%. But for my charging use with auto disconnected cable for night time when charge before sleep. Both XR and dual-SIM XS Max purchased from day one are always plugged into the 30W USB-C Power Adapters if I'm at home. Still at 100% health, bought on launch day (21 Sept 2018). XR on 100% since launch day. XS Max bought in early Nov still at 100%. Just wondering, I bougt my iphone xs from singtel with plan, I also sign the mobile swop plan thingyi because they got $50 rebate. I was thinking of maybe going down to apple store when my battery level drop below 80, but i see the reviews there at A.lab and orchard so bad, you think singtel will be able to do a 1 for 1 exchange instead? Also hear the standard time to replace battery at official stores take hours. where got xi gan liao over there sia. Will be happy with a refurbished phone. Going to do a 1 to 1 exchange for my XS before my warranty ends in October. Mine is 98% and bought it early Nov / Dec. How about you guys? Launch day XS. 100%. Rarely let my battery go below 50%. Seldom charge overnight. Used various chargers: Apple 18W and 29W usb c charger, third party 49W and 55W usb c chargers.